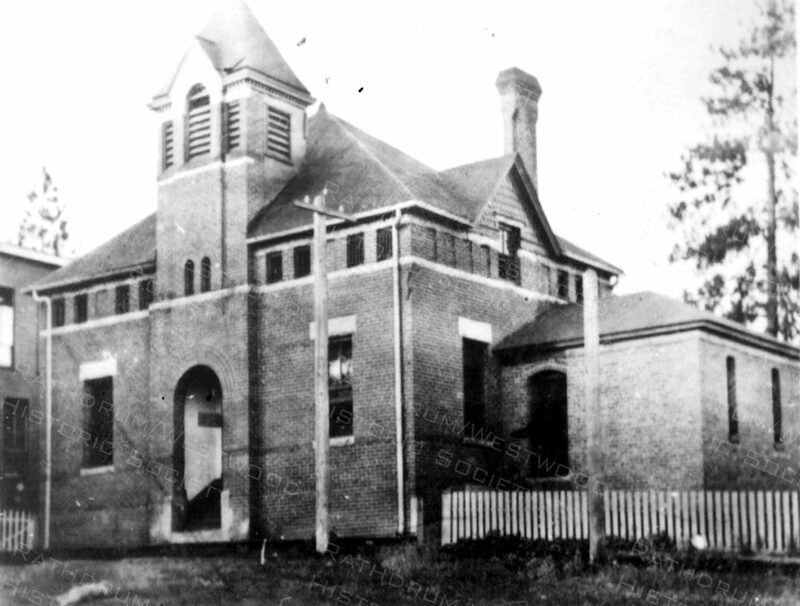 Kootenai County jail built in 1890 in Rathdrum shows addition; brick building with bars on upper windows. 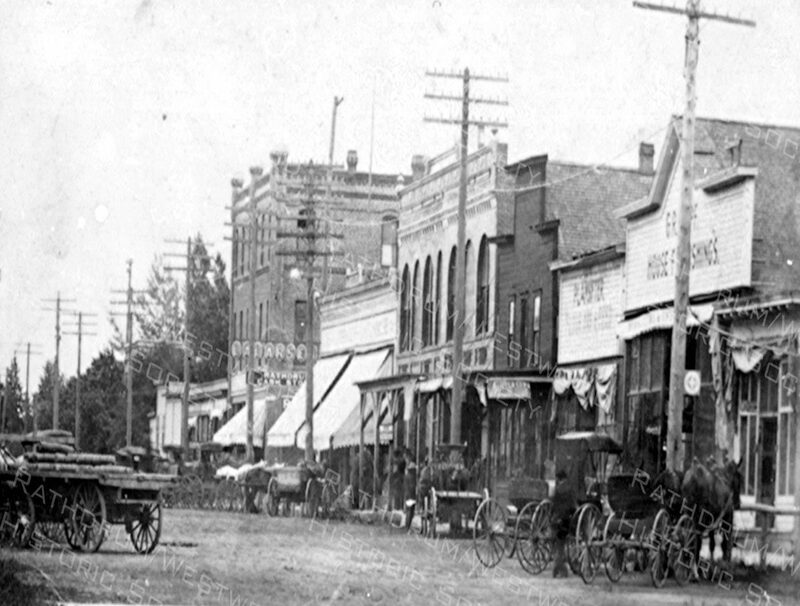 County seat moved to Coeur d’ Alene in 1908. Circa 1905. Built in 1894. 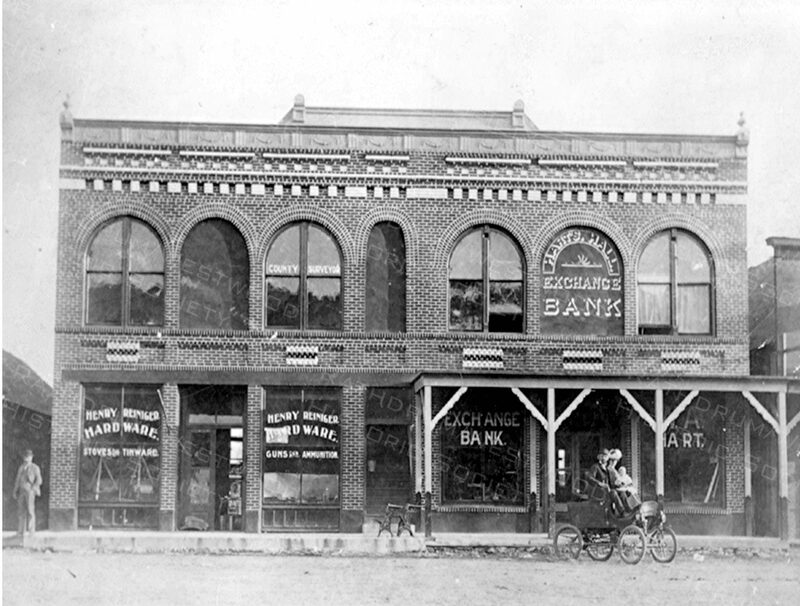 Henry Reiniger Hardware on left and Exchange Bank on right. Mrs. Masterson and daughter in Stanley Steamer with her father. W.A. Hart. 1903. Rathdrum Street Scene; Wagon South side of First Street - Russell block, Hart Building, G.R. Klopf house furnishings, Larsen's, etc. wagons and horses line the street Early 1900's. Thank You to our Members, our Community, and our many Visitors near and far. We appreciate your continued support, contributions and donations. Together we can preserve our past for the future. Member donations and contributions and your support help us to keep our Rathdrum Jail Museum open and available to the community and visitors. We have exhibits, record news – both current and historical; local families have donated antiques, photos, and artifacts. We have our meetings in the Community Room of the Jail Museum. In addition to our tours, we have fundraisers, social events, and educational gatherings/functions. We are a non-profit organization comprised of 100% volunteer staffing. Financial contributions in the form of donation and membership are tax deductible. 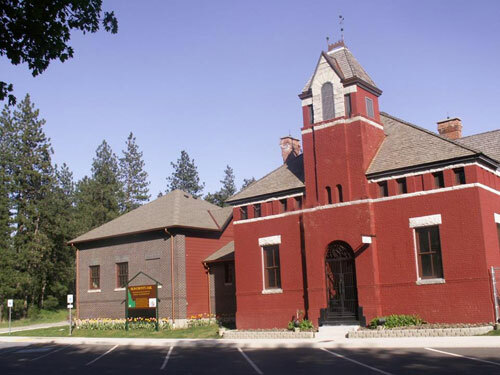 We are continuously looking for ways to preserve and share the history of the Rathdrum area and welcome any participation – MEMBERSHIP, DONATION, CONTRIBUTION, and/or VOLUNTEER. 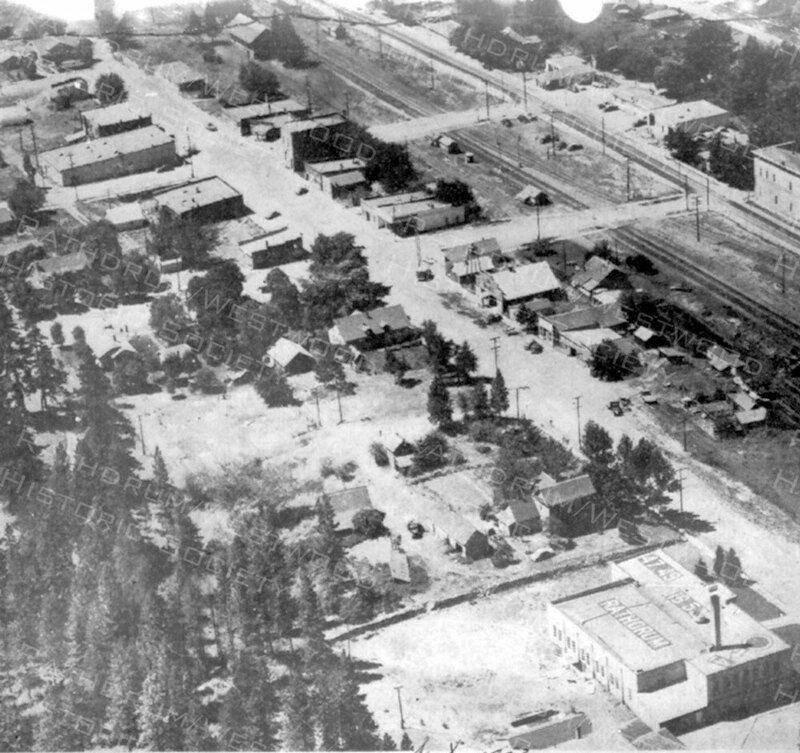 Aerial view of Rathdrum. Main line of the Northern Pacific and Hwy 41 visible. 1953. Open to the public on the weekends from late spring to fall (typically memorial day to labor day). Private tours available year round upon request (weather permitting) with a suggested donation of $2.00 for adults and $1.00 for kids. The jail as it is today.